Home | Ceramic Tea Cups & Mugs | Ceramic & Porcelain Cups | Lucky Blush Kitty Cup, 8 oz. Home | Ceramic Tea Cups & Mugs | Ceramic Cat Tea Cups & Mugs | Lucky Blush Kitty Cup, 8 oz. 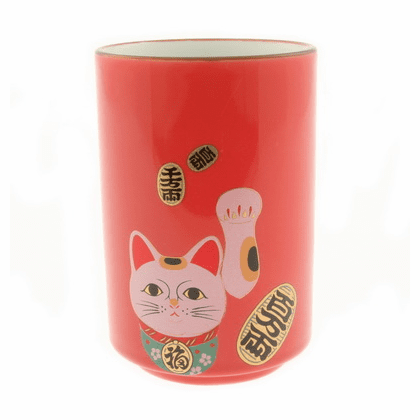 This ceramic tea cup beckons wealth and good fortune to come into your home.